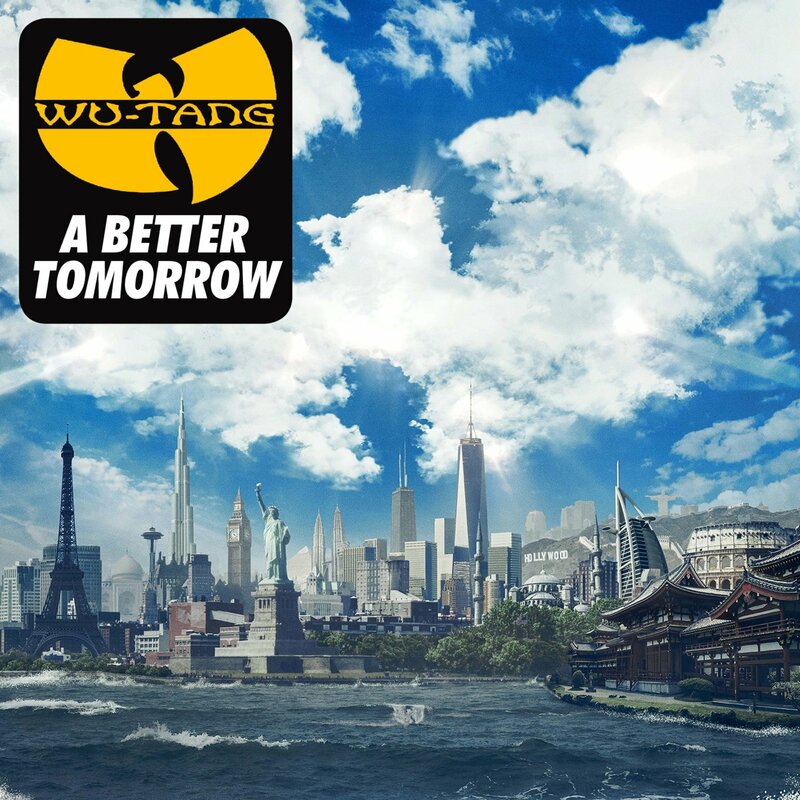 CD review: A Better Tomorrow | What would Van Damme do? All good things must come to an end. That’s the lesson gleaned after a few spins of A BETTER TOMORROW, the latest, and long-awaited CD from the Wu-Tang Clan. It’s been seven years since 8 Diagrams and 13 since Iron Flag and I’m not about to let revisionist history get in the way and tell you those are landmark albums. But for their flaws, there was always promise on the horizon – that the Clan would truly come together, that RZA would find the renewed creative spark for his original art form, that the ravages of time and culture would spare these emcees who changed the game in bone-shattering ways. Alas, that is not the case. You’d be hard-pressed to find a bigger Wu-Tang apologist than myself – I have all four U-God albums for God’s sake – and so this is a crushing, yet inevitable, disappointment. And to be honest, I have to place most of the blame at the Abbot, the man who has fought so valiantly to keep the group from splintering. But sometimes, there’s something to be said when everyone appears to be against one, as was the case with the Wu members, primarily Raekwon, against RZA. Evolution is a necessary element in life, as well as music, but when your fanbase is 35-and-older rap heads bemoaning the Bobby Shmurda-ization of the genre and 22-year-olds wishing they grew up in the Golden Age, why not give the people what they want? RZA, the master of dusty soul breaks and grimy samples, willfully ignores this on A Better Tommorrow, instead serving up live-instrument based sonic backgrounds that prove an ill-fitting glove for the hands of the Wu. This record also houses the most unfortunate song the Clan has ever recorded, and they’ve unleashed some clunkers, from “Black Shampoo” to “Conditioner” to “Starter.” But, oh god, where to begin with “Miracle,” a treacly piece of junk that physically left me cringing as I listened to it? Is it the horrible, “sensitive” music, complete with tinkling pianos and laughable hook? Or the verses from rappers who should know much, much better? Or the fact that it shares a title with an Insane Clown Posse song? Whatever the reason, I question what else was recorded if this made the cut. But it is symptomatic of RZA’s shepherding of this project. He claims he will lose $500,000 on the record, but I don’t see where it adds up, unless you are talking about airline flights for his wayward group. The entire production feels lazy, whether its from the phoned-in hooks or recycled songs like “Preacher’s Daughter,” “A Better Tomorrow” or “Wu-Tang Reunion” (the latter two of which I like, but still). As for the MCs, these guys are professionals, so they do their jobs to a certain extent. Method Man delivers on all his verses and Raekwon, begrudgingly, drops heat as well. Ghostface is Ghostface and even U-God steps up. But Inspectah Deck seems content to toss off pop-culture references (from The Mentalist to Big Bang Theory to Breaking Bad, it seems Rebel INS is a major TV fan) and GZA sounds like a 50-year-old science professor, shoehorning in his theories in 16 bars. Lest you think I completely hate the record, I don’t. “Ruckus in B Minor” is a strong album opener, with the kind of experimental RZA production I can get behind. “Crushed Egos” has a solid beat and nice verses from Rae and RZA (although the hook is shaky). And the aforementioned title track is a smoothed-out song that’s carried by its Harold Melvin sample. But those bright spots don’t take away from the spirit-crushing overall picture. Look, individually some of the Wu are in fine shape. Ghostface continues to make critically acclaimed music with producers who challenge his fierce storytelling ability. I expect his 36 Seasons record, coming next week, to continue his impressive track record. I just saw Method Man in concert two weeks ago – the guy still has the energy and enthusiasm he had 20 years ago, and he is always good for a killer guest verse. Raekwon put out two fantastic records, Only Built for Cuban Linx 2 and Shaolin vs. Wu-Tang, in the past few years. Inspectah Deck was shockingly great on the Czarface project. But it hurts to see the group reduced to this – ill-advised nostalgia and for the sake of what? You can’t expect they’ll be able to tour off this record, what with all the sniping and backbiting and “Miracle”-level songs? The ship seems to have sailed. We’ll always have the Wu, and I hope they don’t go out with this as their final group project, but maybe it’s for the best. ~ by Elliott on December 3, 2014.